In this online program, you will master basic and advanced AutoCAD design skills as you gain hands-on practice in using the 2D tools in AutoCAD 2018. You will begin with learning the basic tools for creating 2D drawings. You will annotate the 2D drawing by adding text, hatching, tables, and dimensions. To further this knowledge, you will explore AutoCAD tools such as blocks, layouts, templates, annotation styles, and sheet sets, to help improve your efficiency with the software. After completing the course, you will have also covered many advanced concepts including the use of external references and image files, collaboration tools, publishing, and customizations. This program uses Autodesk certified curriculum will give you all the skills you need to prepare for the Autodesk AutoCAD 2018 Certified User exam. 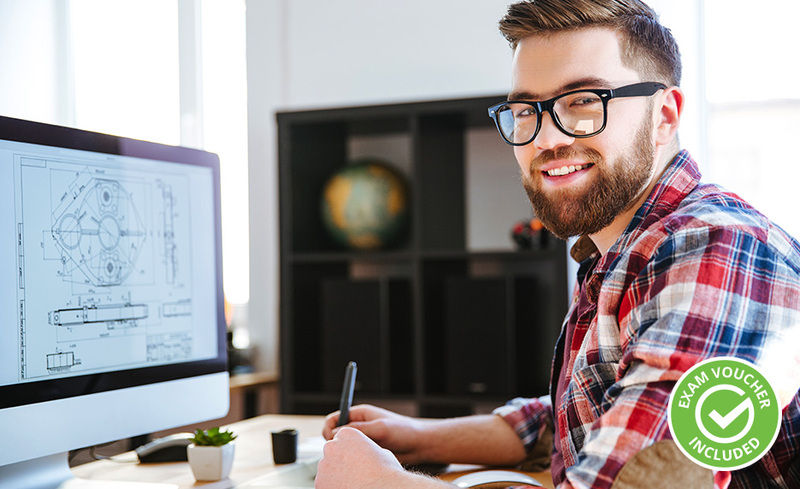 Whether you’re already working in a design-related industry or building your career from the ground up, AutoCAD courses will provide you with a working knowledge of computer-aided drafting software. AutoCAD 2018 is the latest version of this software, and it’s used by everyone from architects and interior designers to surveyors and engineers. Our AutoCAD 2018 Certified User course will teach you basic and more advanced design skills as you gain hands-on practice using the 2D tools in AutoCAD 2018 to create site and building layouts. 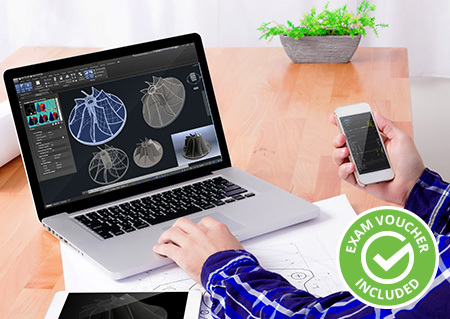 Once you successfully complete the course, you’ll be prepared to take the Autodesk AutoCAD 2018 Certified User exam. 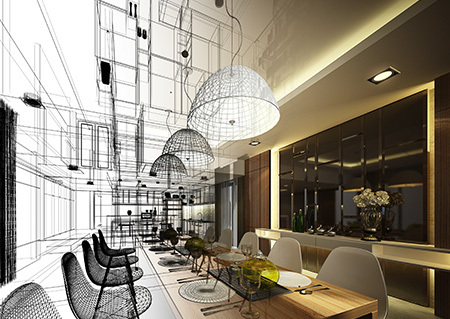 Our AutoCAD training is certified by Autodesk, the creator of this game-changing software, so you can be confident that the coursework is accurate and effective. Plus, our curriculum is comprehensive and engaging, with exercises that incorporate real-world examples you’re likely to face in a new career. During the course, you’ll learn all the skills you need to prepare for the Autodesk AutoCAD 2018 Certified User and Professional exams. Additionally, this course can be paired with training in AutoCAD 3D to give you more versatility and help you stand out among other job candidates. During this online AutoCAD course, you’ll learn how to create and edit original 2D drawings using the software. When you’ve mastered basic tools, you’ll explore more advanced topics such as tools for collaborating, customization options, and macros and custom routines. The course includes a mid-course exam to help you progress efficiently and identify areas where you might need additional practice. Proctor fees may apply, which are not included. AutoCAD 2018. You can download a free version of the AutoCAD 2018 software (containing AutoCAD 3D tools) that provides a 3-year student version license, however the student software license cannot be used in a commercial environment. Before enrolling in this program, you should have a basic knowledge of the Windows operating system and be comfortable installing software, working with file structures, downloading files, and unzipping compressed files. You should have an Internet connection, e-mailing capabilities, and be familiar with using the Internet. A working knowledge of basic design/drafting procedures and terminology is recommended. Yes, upon completion of this program you will be prepared for the Autodesk Certified User (ACU) exam.